Don't Be a Bad Boss: Become a Better Leader! No matter where you are in your leadership career, there are always ways to improve. Every good leader needs a certain set of skills that helps them handle their team more effectively and efficiently. 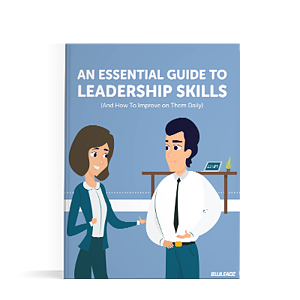 This guide outlines the top skills of a strong leader that are essential to long-term success. From improving communication and practicing transparency to strengthening decision-making and more, this skill set is the foundation for you to build upon and grow from being a boss to the true leader of your team. Highlight the top traits every leader should possess. Show how each trait plays a valuable role in helping you become the best leader you can be at any company. Provide actionable next steps toward developing these skills and fitting them into your leadership style.